Introduction: The development of a novel drug is an extremely complicated process that includes the target identification, design and manufacture, and proper therapy of the novel drug, as well as drug dose selection, drug efficacy evaluation, and adverse drug reaction control. Due to the limited resources, high costs, long duration, and low hit-to-lead ratio in the development of pharmacogenetics and computer technology, machine learning techniques have assisted novel drug development and have gradually received more attention by researchers. Methods: According to current research, machine learning techniques are widely applied in the process of the discovery of new drugs and novel drug targets, the decision surrounding proper therapy and drug dose, and the prediction of drug efficacy and adverse drug reactions. Results and Conclusion: In this article, we discussed the history, workflow, and advantages and disadvantages of machine learning techniques in the processes mentioned above. Although the advantages of machine learning techniques are fairly obvious, the application of machine learning techniques is currently limited. With further research, the application of machine techniques in drug development could be much more widespread and could potentially be one of the major methods used in drug development. Keywords: Machine learning technique, pharmacogenetics, drug development, computer technology, drug efficacy, novel drug. Keywords:Machine learning technique, pharmacogenetics, drug development, computer technology, drug efficacy, novel drug. Abstract:Introduction: The development of a novel drug is an extremely complicated process that includes the target identification, design and manufacture, and proper therapy of the novel drug, as well as drug dose selection, drug efficacy evaluation, and adverse drug reaction control. 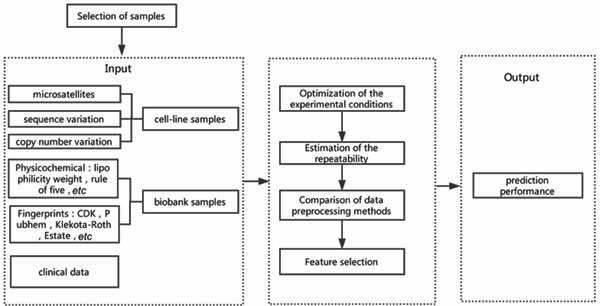 Due to the limited resources, high costs, long duration, and low hit-to-lead ratio in the development of pharmacogenetics and computer technology, machine learning techniques have assisted novel drug development and have gradually received more attention by researchers.